We have been out of mobile coverage for several days and it happened in the area where we could not expect it. 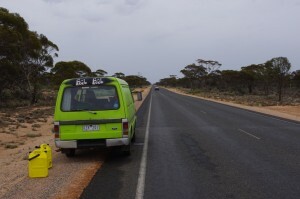 Now breafly about our journey starting from Adelaide to Esperance. When we reached Adelaide, suddenly summer began. Adelaide is situated deep in the bay and surrounded by mountains. Hannes got sick after such unexpected arrival of very hot summer. We were forced to find a hotel and get well there. 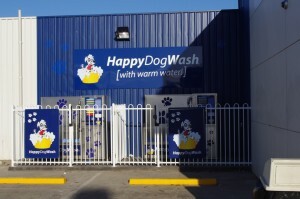 Strolling around town we noticed an advertisement: Happy Dog Wash! 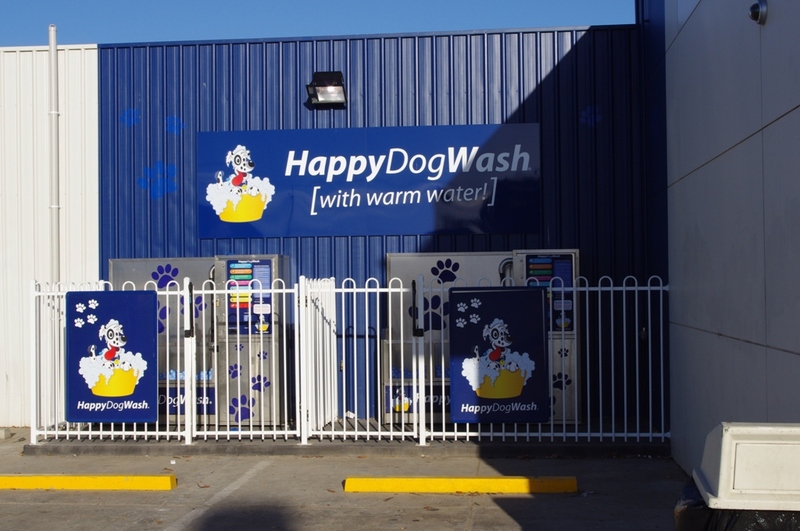 We stepped closer and found out that it is really a dog wash like we are used to go into regular car wash. You put in a coin, put the dog on a special grate and start washing. Like in the usual car wash there are several programs how to clean your dog. Thermometer that we bought on the road did not except the extreme heat and stopped in our car at 56 C degrees. At the local shop we heard that outside temperature is 43 C. After hearing that, we looked for a shelter and afterwards spent some time to check our car. A Happy New Year we greeted with warm champagne. On the 1th January we were ready to start a ride towards west. 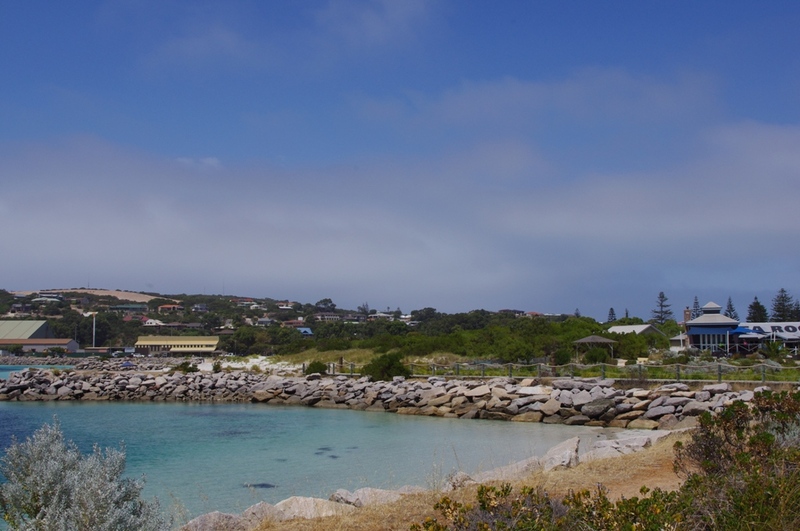 We drove around the bay through Port Augusto to Port Lincoln. Population is there very sparse, only some signs indicated on some fishing villages. 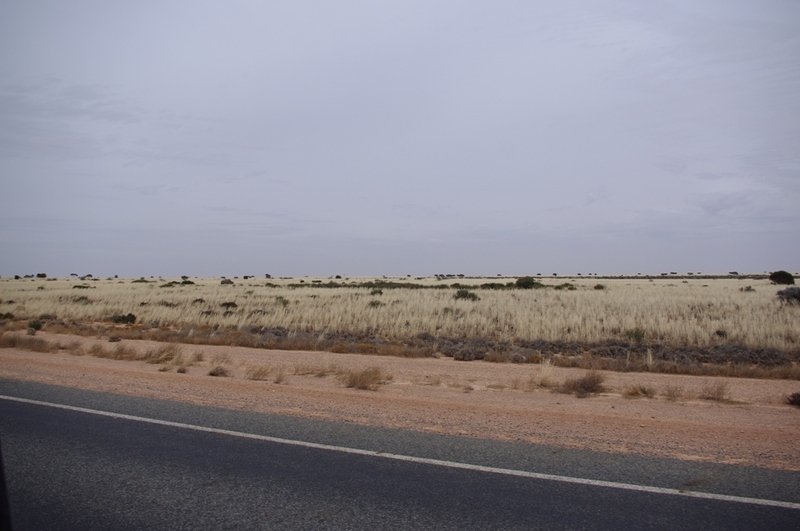 After Ceduna any kind of population disappeared. One moment GPS system showed long red line and command drive forward 1200km! Almost all that 1200km we met only some “half dead” gas stations! Distances were very long and we were conveniently armed with spare diesel canisters. Picture: Fueling on the road! 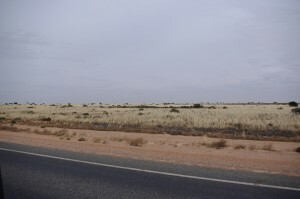 On the field beside the road grew low grass tufts and yonder there were mountains. Quite depressing is to watch an endless line of the road, which is ending on the other side of horizon. 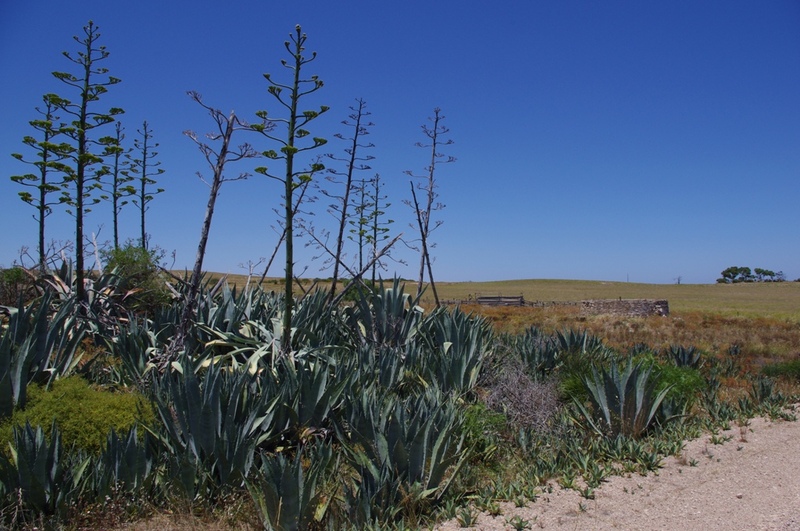 In this emptiness it was a great pleasure to see the aloe bushes! 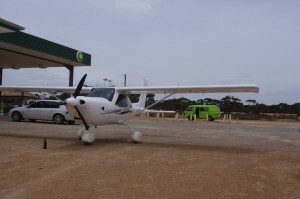 In a gas station we saw an aircraft. 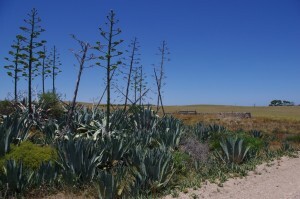 Numb journey ended with T-shaped crossroad, where we turned south and later got to Esperanca. This town is a real paradise comparing to what we have seen during last days. We hope that journey to Perth is more fun, but as the mobile coverage is quite unpredictable, we think the next update to our mailing will happen in Perth.